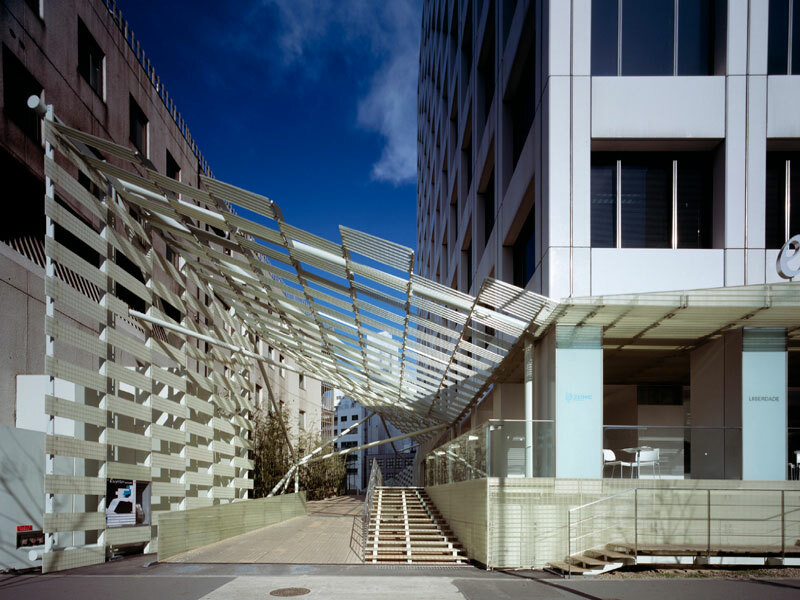 The NTT Aoyama renovation project involves the conversion of the bottom floors. The reduction in the size of the equipment at telephone exchanges has made more space available, and the space that was previously occupied by “black boxes” is being opened up to the city. 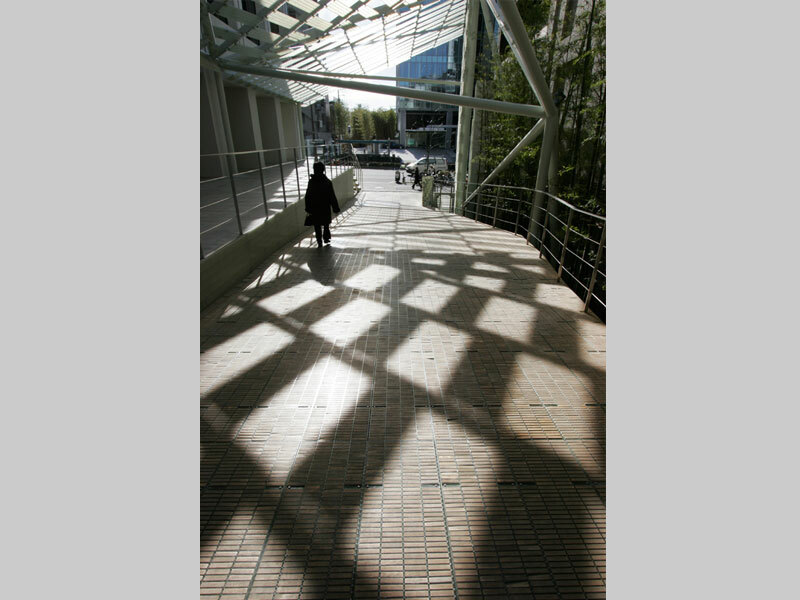 Finding effective ways of bringing the city into the building is a very relevant issue to contemporary society. 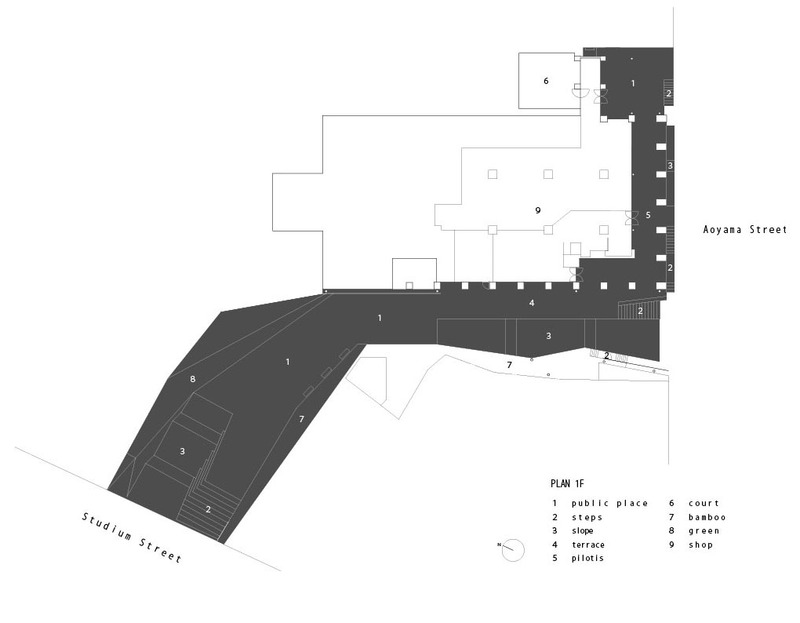 The solution that was adopted for this project was to incorporate new functions into the first floor area that faces Aoyama Avenue, consisting of a café, flower shop and an interior shop. 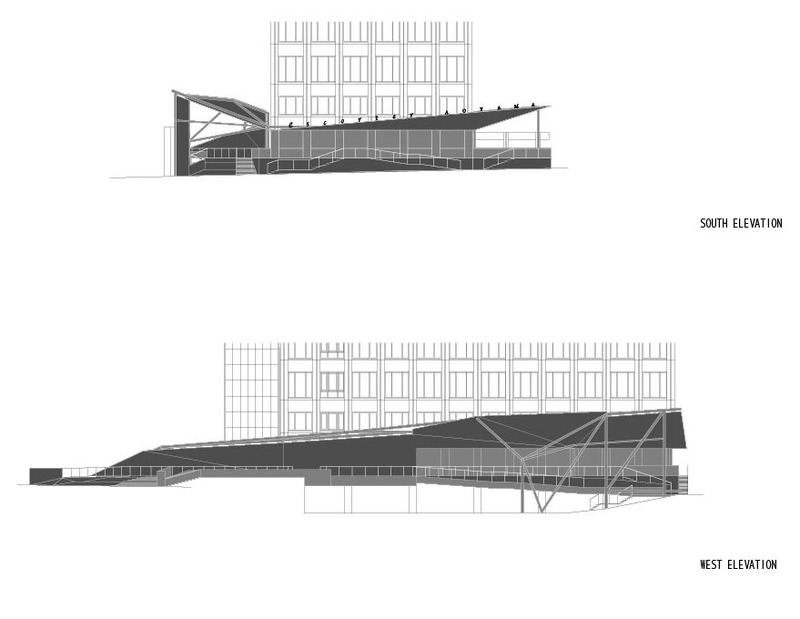 The concept behind this was to soften the interface between the “black boxes” in the exchange and the street in front of the building. Determining the design and way in which this “interface” was to function was a very involved process, including the invitation of ideas from staff members at NTT in the form of proposals, and the involvement of young employees directly participating in the operation of the café. The new name for the facility (Escorter Aoyama) was also determined by asking for proposals from within the organization. We the architects, and Naruhito Yoshioka the interior designer, were called upon to participate in this process. 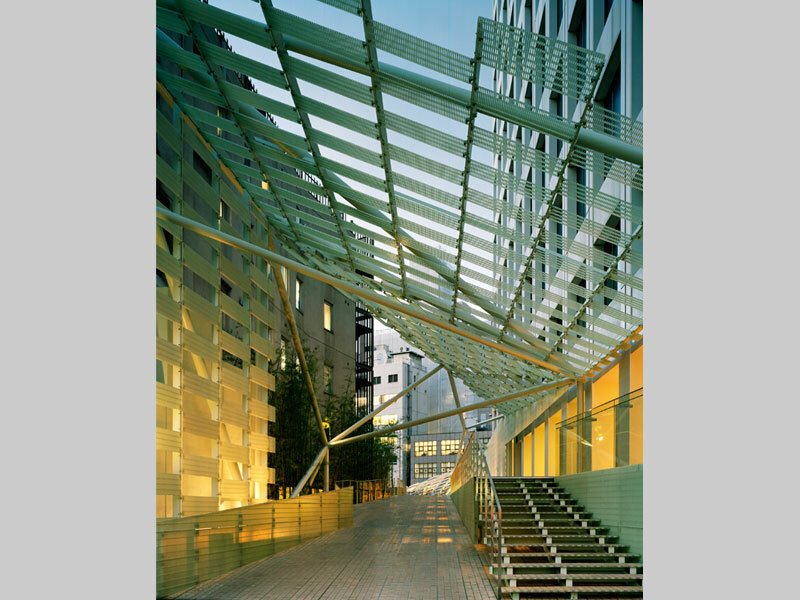 Planning by professional commercial consultants often has the inherent risk of transforming the city into a uniform, dull place, but our discussion with the young people that work in Aoyama for the design of the city area they work in was of a completely different nature than that with ordinary clients. It involved a much more enjoyable and interactive series of discussions. In fact, our office is on the opposite side of Aoyama Avenue, and we were able to have a very frank discussion on our vision for this area as a resident of Aoyama. 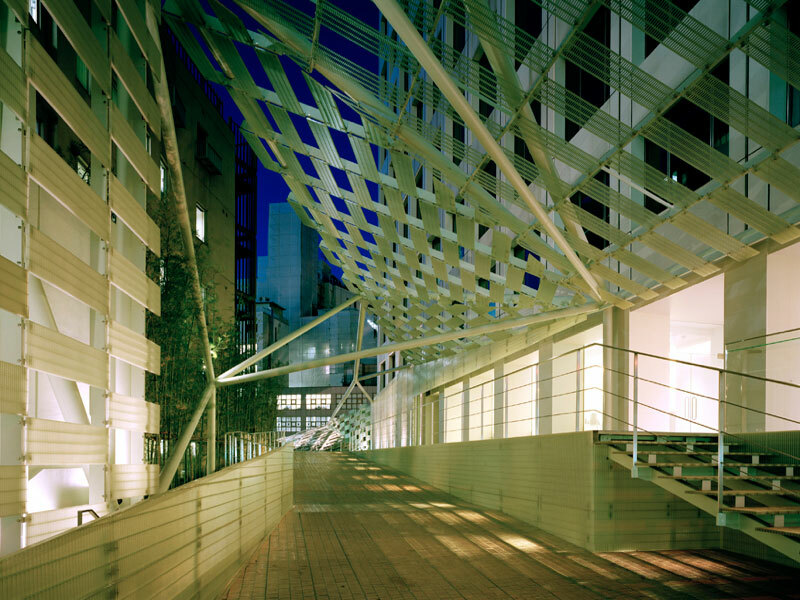 The concept of covering Aoyama Avenue and Stadium Avenue with a fiberglass- reinforced plastic grating that is covered with bamboo in order to tie them together with a “hole” emerged from these discussions. 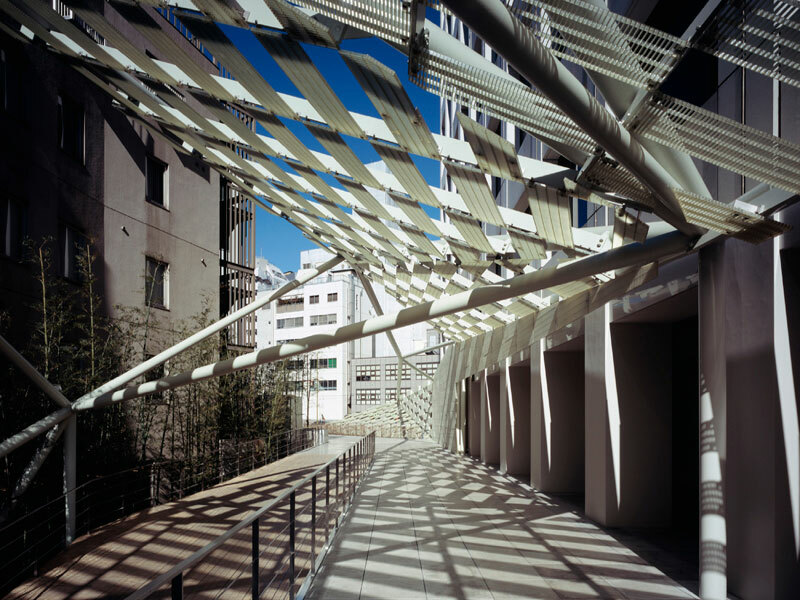 This “hole” incorporates a type of city planning aspect in that it is spatially connected to the approach to the Baisouin Temple on the opposite side of Aoyama Avenue that we designed two years ago, which is also covered with bamboo and glass. By connecting a variety of voluntary holes that have been opened up in the city, and integrating them together into a network, we think that it is possible to bring life back to the city that has become stiff and rigid as a result of being divided by 20th century “government infrastructure”. We think that these “holes” can serve as a delicate alternative infrastructure that functions like capillaries. On the one hand, there is a city infrastructure that exceeds the human scale of the 20th century, and on the other, there is a completely manmade, theme- park-like atrium inside a large-scale enclosure built under a city redevelopment project. 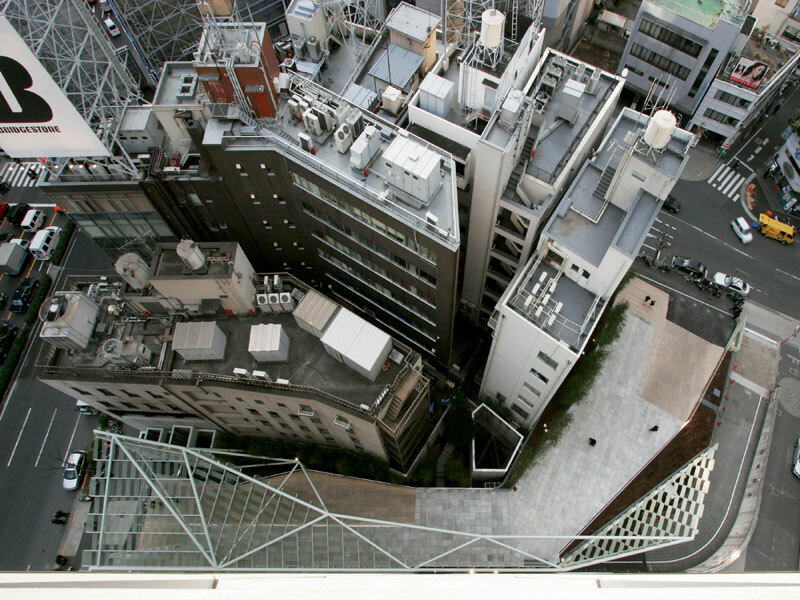 The “hole” in Aoyama is a test case to determine whether or not we can create a network of capillaries by connecting these differing small objects and small sites together.